You’ll never experience the thrill of a Pump It Up party exactly the way your child does, but this is pretty darn close! 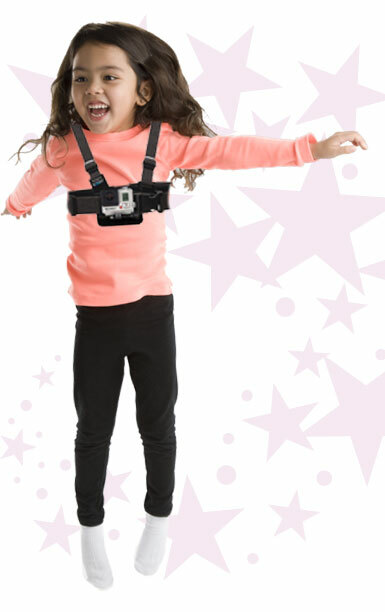 Using a GoPro® action camera mounted to a chest harness, we’ll provide you with a USB drive full of stunning video of the most important day of the year, as seen through the eyes of your child. Capture and share HD footage from an ultra-immersive perspective that will be a treasured reminder of the most epic party imaginable.